She starts by washing with her Giovanni and then rubs in Karen's Leave-in conditioner into her hair generously, smoothing it as she applies. To moisturize the hair, she adds her SheaMoisture Curl Enhancer and Olive oil. Finally, she applies her Camille gel generously, working section by section. Her tip is to stretch out the hair, apply gel in small sections and then use her brush to blush downwards, elongating the length. She finger curls the ends to add more pop to the curls. She lets the hair air dry and that’s basically it. Her curls turned out really bouncy, shiny and healthy looking. To refresh the hair, she just uses water. She co washes her hair, then pats it dry somewhat with a towel. She then sections the hair into four and then works with the sections (she has really full hair). She sprays down the section with water and then applies her detangler from root to tip. She adds leave in conditioner and then combs out with a wide tooth comb to get out tangles. Finally, we get to the gel stage. She applies the gel from the root all the way down. She scrunches the hair after application to add volume and then separates the strands. Repeat with all the other sections. She prefers to blow dry her hair with a diffuser attached to it to get her roots dry faster. 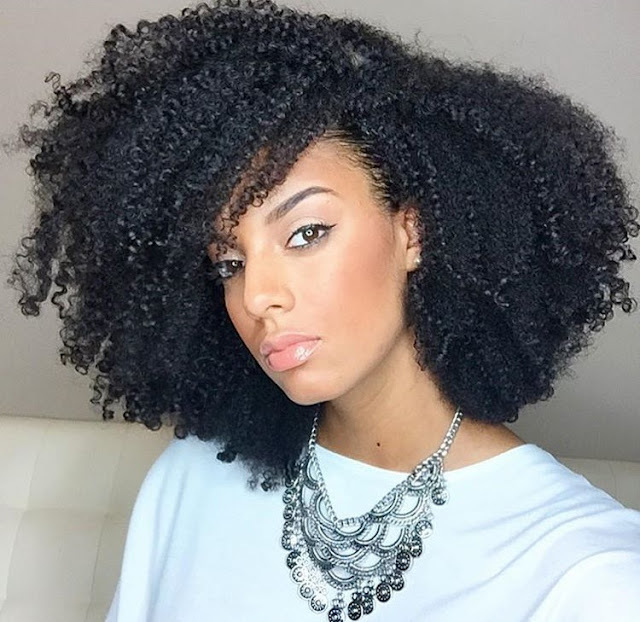 What's your favorite wash and go style? hair, makes the application of product so much easier. My curls are popping, my wash n go always comes out perfectly.